Kindness Animal Hospital offers top-of-the-line and convenient, affordable vet services for pets in the Tulsa area. In the late 1700’s a British doctor named Edward Jenner happened upon a fascinating and fortuitous discovery. Milkmaids who had contracted cowpox from the cows they were milking seemed immune from getting ill from the human smallpox virus. The cowpox virus caused a very mild illness in humans, but smallpox was much more serious, causing disfigurement, blindness and death. It was smallpox that devastated the Aztec and Incan Indians, brought over from Europe by Spaniards. It also wreaked havoc with our own American Indian population here in North America, compliments of transatlantic explorers and pilgrims. It is estimated that 300-500 million people died worldwide in the 20th century from smallpox. Different cultures of people throughout the ages had some success with inoculations. The Chinese were using inoculations in the 10th century. The problem was that they were using the actual smallpox virus (usually in the form of a scab from an infected person) to inoculate others with. This worked sometimes, but other times it resulted in the individual actually getting the disease and sometimes dying. That was until Jenner discovered that the cowpox virus provided cross-protection against the human strain of the poxvirus. He called the inoculation a vaccine, after the term vacca, meaning cow in Latin. After improvements in the vaccine and acceptance by the populace that it would really work, smallpox vaccines became not only popular, but mandatory. As a result, smallpox was completely eradicated. The last known case was in 1979. And so, we no longer have to worry about the disease nor getting vaccinated against it. From there other researchers began investigating other forms of vaccines. Some have been successful, some not so much. Next we will look at how vaccines work. A vaccine is a substance that, when inoculated into a previously uninfected individual, will trigger their immune system to develop antibodies against the substance. The substance could be viral in nature or bacterial or even a toxin, such as with the rattlesnake vaccine for dogs. If and when a person or pet does come into contact with the disease causing agent, the immune system is primed to fight off the disease. It is important to note that vaccines do not prevent an individual from getting the disease but rather allows them to effectively fight the disease, resulting in a shorter and milder episode of illness. Some vaccinations work better than others. This can be due to the type if illness, varying strains of the infecting organism, and the individual’s own immune system. People with compromised immune systems, whether due to underlying immune system disorders, medications they are on (like steroids or chemotherapy drugs), underlying medical conditions, and age, all play a part in how effective a vaccine may be for the individual. In order to prevent a vaccine from causing the disease it is intended to protect against, the infecting organism is modified in some way. One way to modify the infectious agent is to kill it with chemicals or heat. These are called killed vaccines. They work and are safe, but the immune response is not as strong, resulting in a need for regular boosters. Additionally, in order to stimulate a stronger immune response, killed vaccines usually contain an adjuvant. An adjuvant is a substance that is added for its ability to elicit a stronger immunological response. The problem with adjuvants is that they may be associated with the formation of fibrosarcoma in cats. These should be avoided in cats. Other infectious agents are attenuated, or changed in some way to make it less likely to cause disease. The organism is still alive and can still replicate, but because it has been altered, it should not cause the disease. These are called attenuated or modified live vaccines. They provide a stronger immunologic response but there is slight chance that the organism could mutate back to its original form and cause disease, especially in immunocompromised individuals. These vaccines tend to require fewer boosters due to their ability to provoke a stronger immune response. A newer technology uses a different approach. Called recombinant technology, a portion of the DNA of the disease-causing organism is isolated and placed into a different vector. Some examples of recombinant vaccines are the Purevax Feline Leukemia vaccine, the Purevax Rabies vaccine and the Purevax Ferret Distemper vaccine. The canarypox virus is used as a carrier for the DNA of the infectious organism. The pets do not get canary pox, but this allows the immune system to make antibodies against the organisms we are trying to fight. It is a very safe technology as there is absolutely no possible way for the pet to get the disease we are trying to protect against. There is no single correct answer to this question. Each pet is an individual and there environment and potential risk varies. 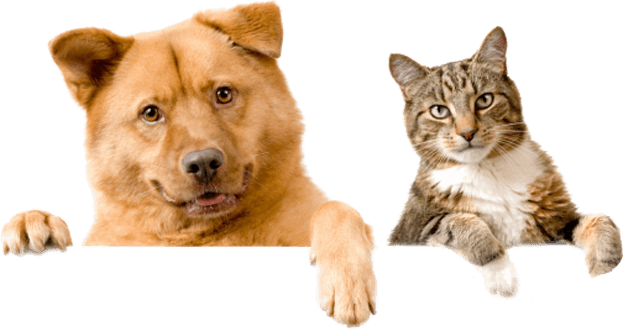 Therefore, each pet should be evaluated and a vaccine schedule set up for the individual. That being said, we do break down vaccines into what we call core and non-core vaccines. 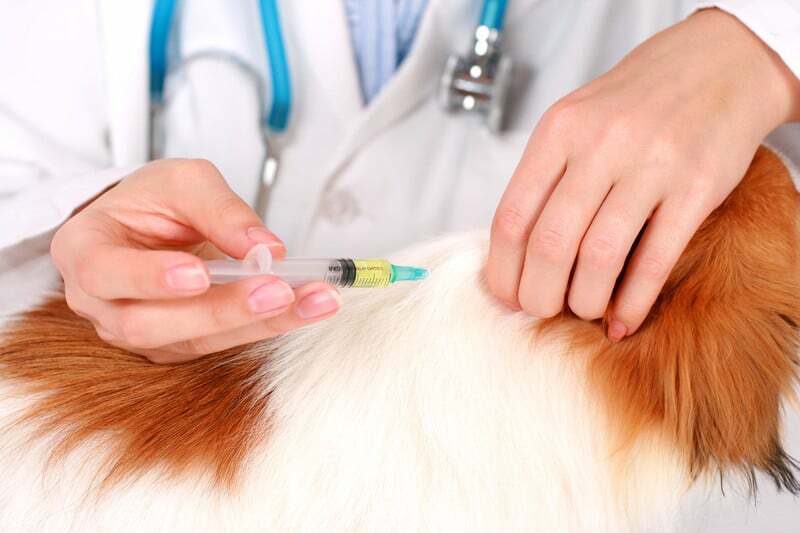 Core vaccines are considered essential for most pets. Non-core vaccines are given based on potential exposure. All healthy pets should receive core vaccines. 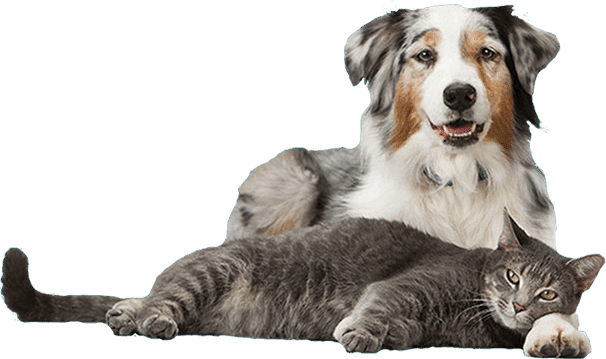 Pets that might be considered exempt from these vaccines are those that are on chemotherapy, battling an underlying illness, are very old, or have a history of vaccine reactions. See the chart below for core vaccines and non-core vaccines, as well as my recommendations for a schedule of vaccines as based on the American Association of Feline Practitioners (AAFP) Guidelines for cats and the American Animal Hospital Association (AAHA) Guidelines for dogs. Only non-adjuvanted vaccines should be used in kittens and cats to decrease risk of vaccine-associated fibrosarcomas. Timing is important for the kitten vaccine series. Waiting too long between vaccines may compromise the desired immune response. Even though FeLV is considered “non-core”, it is recommended that all kittens receive these vaccines because they are much more susceptible to this virus than adult cats. Furthermore, even if you are planning to keep your kitten indoors, they can and do escape at times. After kittenhood, only cats going outdoors should receive boosters, or cats living with FeLV positive housemates. Cats older than 15-16 weeks who have never been vaccinated (or whose vaccine status is unknown) need to receive 2 sets of all but the rabies vaccine 3-4 weeks apart to be properly immunized. Beyond 10-12 years of age, boosters are likely overkill. Cats that have been vaccinated routinely have protective antibodies that should be sufficient. The exception is the rabies vaccine because it is required by law. Dogs over 15-16 weeks of age that have not had vaccines or whose vaccine status is unknown should receive 2 sets of vaccines 3 weeks apart (except Rabies and intranasal Bordetella which require only a single vaccination initially). Timing of vaccines is important for the puppy series. Waiting too long in between vaccines could leave a puppy unprotected. The intranasal Bordetella vaccine is preferred over the injectable because only one initial dose is required and the immune response results in no to minimal of the bacteria. Additionally, the intranasal vaccine includes parainfluenza virus protection which is thought to be superior to the injectable form. Leptospirosis is not currently considered a core vaccine. There are several reasons for this. First, it is not that common. It is usually contracted from urine or tissues of infected wildlife (raccoons, skunks, rats) and domestic animals or from stagnant water sources that have been contaminated. Second, there are many different strains of the virus and no one vaccine protects against all strains. Third, it has been implicated in severe adverse vaccine reactions more often than the other vaccines (especially in small breed dogs). And finally, immunity provided by the vaccine is short-lived. Currently it is recommended for only at risk dogs, at least 12-16 weeks of age, and to be boosted every 6 months. Lyme disease is not common in Oklahoma. It is more common in the northeastern and upper Midwest states. It is spread by the bite of infected deer ticks, so tick prevention is the first line of defense against this disease. However, if your dog frequently is exposed to ticks, it is wise to consider this vaccine. While some veterinarians give annual DHPP boosters the immunity conferred by the vaccines is considered to last at least 3 years in most dogs. Unless your dog is in a high risk situation, it is now recommended to go to a 3 year cycle after the booster vaccine at 16 months. Beyond 10 to 12 years of age, risk of exposure and infection to core antigens is considered to be extremely low if the dog has received vaccines throughout his or her life. Continuing vaccines beyond this age may be overkill and should be based on potential risk.